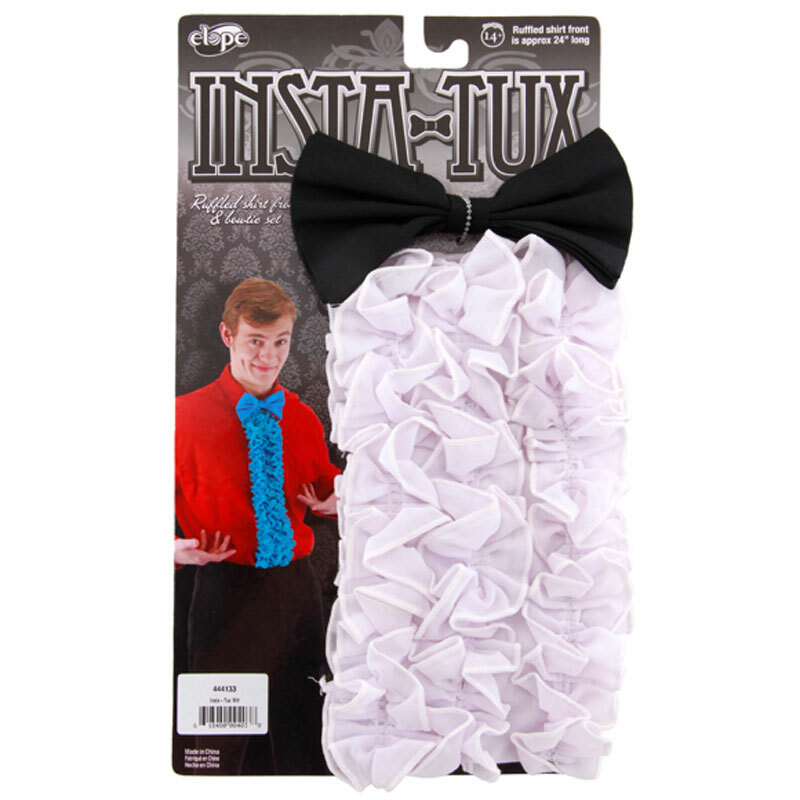 This awesome Instant Tuxedo will have you looking spiffy in a jiffy. Simply clip the ruffled piece to any dress shirt or shirt and instantly you're ready for a formal event. 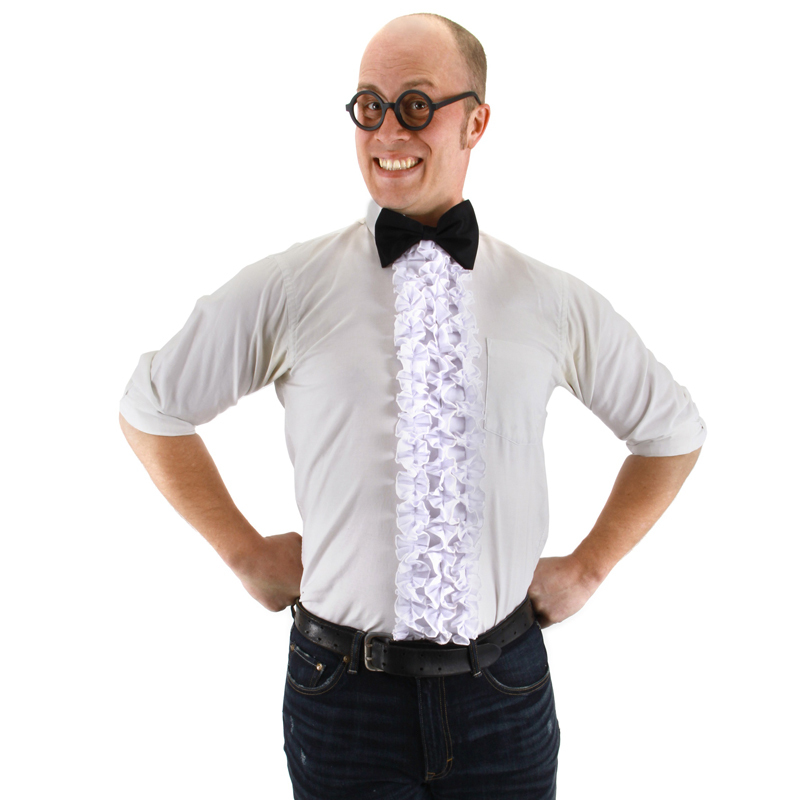 The bow tie has an adjustment strap.